Located in the heart of the Rocky Mountains in historic Glenwood Springs, CO, Glenwood Caverns Adventure Park is America's only mountain-top theme park. This popular year-round attraction offers fun and unique adventures that will create lasting memories. There's something for everyone to enjoy: cave tours, thrill rides, scenic tram rides, restaurants, kids' activities, and more! 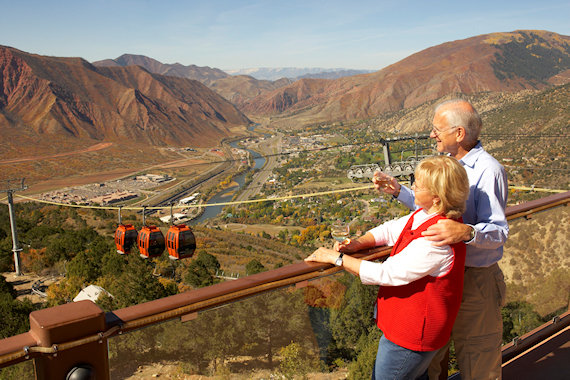 Visitors experience a towering panoramic view of the spectacular Rocky Mountain scenery as they skim over the tops of the trees, up to the top of Iron Mountain and the entrance to Glenwood Caverns and Historic Fairy Caves. This 4,300-foot-long tram ride has fully-enclosed gondolas with large clear windows, and are wheelchair-accessible. 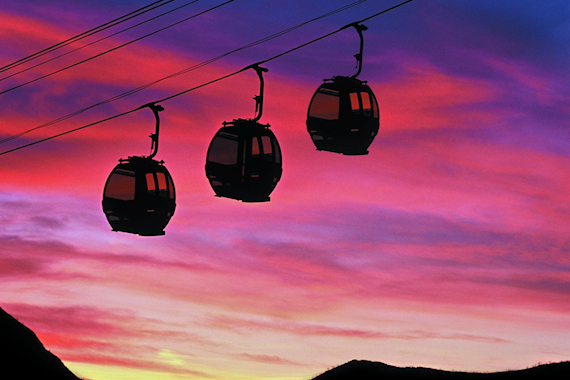 Enjoy this 10-minute scenic ride that accommodates up to six people. Experience the wonder of the prehistoric Glenwood Fairy Caves. This incredible wonder of nature is a Glenwood Springs must see. Experience the wonder of the prehistoric Glenwood Fairy Caves. This incredible wonder of nature is a Glenwood Springs must see. Children under 3 are free! 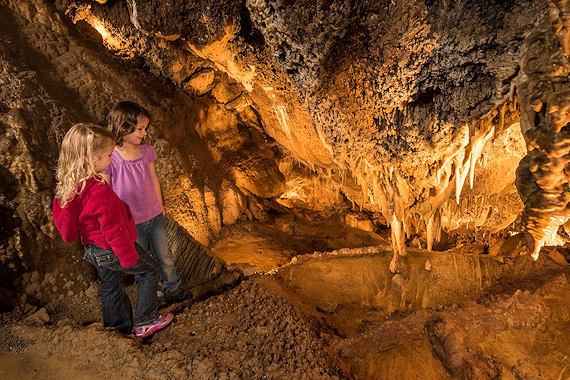 There is so much fun for the whole family waiting for you at Glenwood Caverns Adventure Park. The summer FunDay Pass at Glenwood Caverns Adventure Park includes a tram ride, cave tours, and unlimited use of the rides and attractions. Experience the adrenaline rush of these thrill rides: the Alpine Coaster, Giant Canyon Swing, Glenwood Canyon Flyer, Soaring Eagle Zip Ride, and the all new the Haunted Mine Drop. The fun, family attractions include the Wild West Express, 4D Motion Theater, Laser Tag, Climbing Wall, Melodrama Show, Mine Wheel, Cowboy Camp, Harmony Sisters, Doc Holliday & The Kid Performances, the Giddy Up Ride, Blacksmith Shop, and Silkâ€™s Saloon OldeTyme Photos. The Adventure Park, which is nestled in the mountains above Glenwood Springs is open daily in summer. Some rides and attractions are seasonal and have minimum age and height requirements. *The FunDay Pass does not include Gemstone Panning, Silk's Saloon Olde Tyme Photos, or Mine Shaft Shootin' Gallery. In case of inclement weather, some attractions may be closed and a bus ride may be substituted for the Tram ride. Check their calendar for hours of operation, as they vary depending on month and day of week. From Denver, Summit County and Vail, take I-70 west to exit 116. Exit right, and turn left at the stoplight. Turn left again on Devereux Rd., and the Tram Base is ahead on your right. From Grand Junction, take I-70 east to exit 116. Exit left, and then turn left at the stoplight. Turn left again on Devereux Rd., and the Tram Base is ahead on your right. Cancellation | 72 hour cancellation policy, we take their credit card to hold the reservation. If they do not show, we then charge the credit card the full amount. Deposit | A credit card number to charge if they no show. Other | 72 hour cancellation policy, we take their credit card to hold the reservation. If they do not show, we then charge the credit card the full amount.